A Supreme Court bench of Chief Justice Dipak Misra, Justice DY Chandrachud and Justice AM Khanwilkar on Friday stated that the allotment of seats made by way of the state-by-state draw of lots in pursuance of the Guidelines for Haj-2018 for the pilgrimage in August shall be subject to the final order of the apex court on the validity of the guidelines. The bench was hearing a string of writ petitions, including one filed on behalf of the Kerala State Haj Committee, challenging the Guidelines of 2018 on the ground that the same are violative of Articles 14 and 25 of the Constitution. “Section 27 of the Haj Committee Act of 2002 mandates that it shall be the duty of a State Haj Committee to implement the policy and directions of the Haj Committee of India in the interests of Haj pilgrims. Therefore, the Kerala Haj Committee may not challenge the policy of 2018 that was formulated in consultation with the Haj Committee of India,” submitted Attorney General KK Venugopal. Elaborating on the grievance, Bhushan continued, “The Government of Saudi Arabia has granted a quota of 1 lakh 75 thousand persons to India for the purpose of Haj. The policy of 2018 requires the allocation of the 1 lakh 75 thousand seats among the states in proportion to the Muslim population in each state. The states of Uttar Pradesh and Bihar have the largest Muslim population in the country. 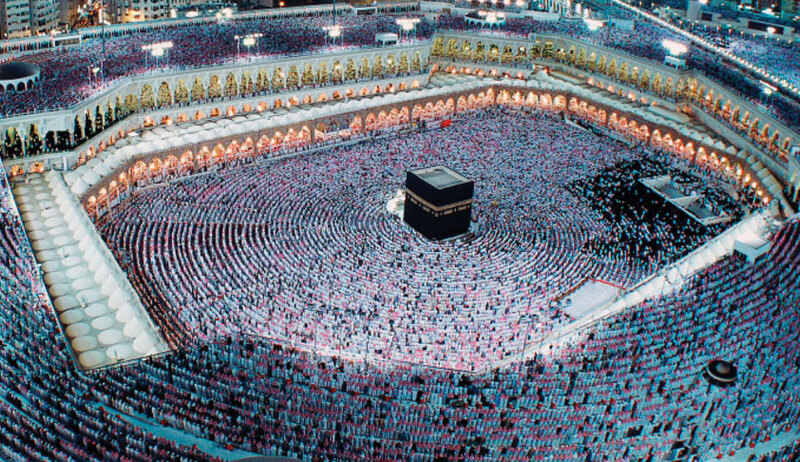 Approximately 12,000 seats have been set aside for the state of Bihar, while only around 6,000 applications have been received for the Haj pilgrimage. This means that almost 6,000 seats shall remain vacant. Whereas, in Kerala, there are over 95,000 applicants and the allocations have been made to only 1 out every 15 applicants”. Further, he referred to the reservation to the extent of 30% of the available 1,75,000 seats in favour of private tour operators, which, in turn, charge more than double of the prices as fixed by the Haj Committee for the pilgrimage. “Please let the Haj Committee only auction these seats that are reserved for the private tour operators”, submitted the counsel for the petitioner. “What is the rationale behind such a high reservation in favour of private tour operators,” inquired the bench from the Attorney General, thereupon directing the Centre to file the counter affidavit in 2 weeks. Bhushan also lamented the doing away by the 2018 policy of the exemption from the draw of lots in favour of fourth-time applicants. Finally, he requested the top court to defer the allotment of seats to persons for the 2018 Haj pilgrimage till the final determination by the court of the challenge to the Guidelines of 2018 in the present writ petitions. “The Haj is in August. Let the state-by-state draw of lots not be proceeded until the final disposal of these writ petitions as it will lead to the building up of an expectation towards the pilgrimage among the successful applicants”. On the submission of the Attorney General that the schedule is very tight with the May 15 deadline, the bench refused to defer the draw of lots. However, the bench clarified that the draw of lots so conducted shall not confer any vested right in the applicants emerging successful therein. The results of the state-by-state draw of lots shall be subject to the final disposal of the present writ petitions.